The necessity of fatty acids for human health has been all over the news these past few years. Finally, the idea that a low-fat diet is healthy is being replaced by the truth: Good fats are vital for a proper nutritional state. Like many people interested in natural health, many years ago I would supplement with fish oil. Eventually, we learned that “normal” fish oils go rancid too quickly; before being fully digested. Like many, we switched to krill oil, which is rich in a far more stable Omega 3 fatty acid. 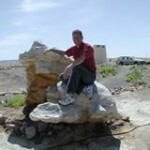 Speaking from personal experience, my health improved by supplementing with Omego 3… up to a point. Then, the effects seemed to dissipate, and eventually, reverse. Eventually I learned that having too much– the wrong ratio– of even healthy fats can be detrimental to one’s health. Two key essential fatty acids, Omega 3 and Omega 6, are considered essential because they must be acquired through the diet; the body cannot manufacture them. And as modern clinical research moves forward, it is becoming clearer and clearer that the ratio of fatty acids is key. While it is especially important for heart and brain health, it is also essential for the proper functioning of each and every cell in the body. Considering that the brain, if you remove water from the equation, is over 80% fat, it is easy to understand how vital achieving a good understanding of this issue may be. The standard SAD American diet includes a fat profile anywhere from 14:1 to 50:1, Omega 6 to Omega 3. It is no wonder that the cases of brain-related chronic illnesses have sky rocketed over the last twenty years. Too much saturated fat not only affects the waist line, but new research is showing that lipid imbalances may prove to be precursors to severe chronic illness, including conditions such as Alzheimer Disease. There is no doubt in my mind that depletion of fatty acids through dietary constriction, and over-indulgence in the wrong types of fat, are both very serious health issues that few individuals look at closely. We now know that eating the wrong types of fat doesn’t just affect the wast line, and restricting fat intake does not automatically translate to weight loss and most certainly doesn’t improve health. It doesn’t help that the cheaper our food supplies become, the more highly processed, refined, and damaging fat oils are used in the food production process. Food processing companies, even sometimes the “natural” and “organic” ones, apparently won’t spend the money to use high quality fat sources in processing, and don’t wish to sacrifice the addicting taste associated with low quality hydrogenated oils and gluten additives. In fact, I was shocked two weeks ago when shopping at Trader Joe’s. My son and I enjoy sitting down once a year to watch the Super Bowl. We always enjoy a good bowl of chips and a fresh organic salsa. Although Trader Joe’s had one out of eight isles dedicated to snacks, I could find only exactly two types of chips that weren’t made with ingredients that have a negative impact on health. And even then, both used sodium chloride as a salt, rather than sea salt. The products that used sea salt also used Canola Oil. If one’s health food stores are stocked like this, imagine what’s in the isles of the normal supermarkets (not to mention the actual ingredients in fast food)! It’s one thing to make a decision to eat comfort foods and indulge in eating habits that may not ultimately be the best for one’s health; that’s an individual’s right. But it’s quite another issue with individuals who are doing the best to find a way of eating that is both healthy and satisfying. With fad diets, crazy weight loss products, so-called energy-boosting products being force-fed to people at every turn, finding clarity can be very difficult to achieve! If one looks at the issue from a natural viewpoint, examining the fat content of paleo-type diets, the ratio between Omega 6 and Omega 3 is often close between 2:1 to 3:1. Grass fed beef, for example, has a ratio of about 3:1, Omega 6 to Omega 3. This ratio varies slightly depending on the source of information, but this number is about right. Pecans, a high quality calorie source, has a ratio of about 6:1. Recent research, pioneered by Ed Kane conducting research with cellular fat testing, has concluded that the golden ratio is 4:1… 4 parts Omega 6 to 1 part Omega 3. This research has been confirmed by many medical doctors specializing in environmental medicine, and is gaining wider acceptance, especially with the advent of the Acumen Test. The Acumen test, pioneered by Dr John McLaren Howard, is currently available only in the UK. This laboratory test allows doctors to examine mitochondrial function and actually “see”, examine, and chart the effects of this “fat balance” at cellular level. Researchers with access to Acumen can now get a visual image of long chain and short chain fatty acids present intracellularly. With comparative analysis, these more “cutting edge” medical doctors now have several tools to compare and contrast mitochondrial function, fat balance, and toxic exposure with lifestyle habits and diets. Although numerous studies have shown that supplementation with Omega 3 fatty acids improves health, Kane, conducting research using John Hopkins fat cell testing, has observed that there is a growing problem with OVER supplementation of Omega 3. It seems that—as usual– people have jumped on the Omega 3 bandwagon without carefully considering the whole picture. People have been oversold the importance of fish oil supplementation, and have tipped the balance the other way, which has just as many health consequences as any other metabolic fat imbalance. The first step is to observe. While it may be a bit time-consuming and painful, check labels and record how much of what kinds of fat are eaten on a typical day. One may have to Google certain foods to uncover their typical fat profile, but the information is out there, readily available. The more natural one’s eating habits are, the easier it is to make relatively simple adjustments to a daily routine in order to achieve a proper balance of fatty acids. Vegetarians, Vegans, Raw foodists ( paleo-based or otherwise), those following Weston Price type diets, will have a far easier time making simple adjustments than those eating the SAD! Those who are really ambitious may wish to get fat balance testing done. This is the only way to know for certain how to compensate for fat levels and ratios. Otherwise, a simple method of ensuring proper ratios in one’s current diet is to use something like flax seed oil (or krill oil) to increase Omega 3, and/or use something like unrefined Sunflower Oil to increase Omega 6 levels, if teeded. Some researchers are working with adding both of these oils to the diet in proper ratio to help the body normalize. The lowest quality oil I will use is olive oil, which is rich in Omega 6. For salads and when using raw oil, we use first cold press olive oil. For cooking, a good quality cold press olive oil is fine. Aside from the ratio issue, there are two oils that stand above the others for their potential impact on health: Primrose oil and unrefined virgin coconut oil. Organic primrose oil contains significant amounts of GLA (gamma- linolenic acid), which is difficult to find in “normal” food sources, yet is an extremely valuable health aid. It is my opinion after working with several dedicated Vegans, that these two oils are absolutely necessary as a part of a healthy Vegan lifestyle. Organic unrefined coconut oil is rich in lauric acid, and acts as a broad spectrum disease fighting nutrient. Coconut oil is rich in medium chain fats, and once was condemned as being poor for the health. Well, more scientifically balanced research is emerging showing exactly the opposite. Raw, organic, unrefined coconut oil has antiviral, antifungal and antibacterial properties, and doesn’t adversely effect the health in the same way as long chained fatty acids. Recent research shows that coconut oil may also benefit brain diseases such as Alzheimer Disease. Primrose oil and Coconut oil, when properly processed, are the Royalty of therapeutic oils for internal health. Flax seed oil, hemp oil, sesame seed oil, sunflower oil, and olive oil, are also excellent choices, when used in the proper ratio to balance out the fat content in the diet. Avocados, among nature’s most perfect food sources, are also an excellent source of good fat content. 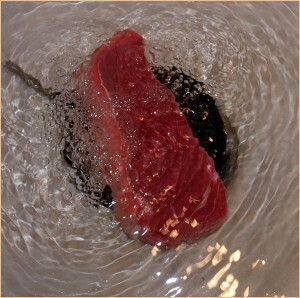 Mercury free fish is as well (the smaller fish such as krill or sardines). I try to eat an avocado a day, and wild caught Alaskan salmon a few times a week. For those who have repaired or have healthy digestive systems, raw organic butter is also, contrary to some dietary philosophies, an excellent, vital source of nutrition when used properly. Since raw dairy is illegal in Nevada, we have to make do with simple organic butter. 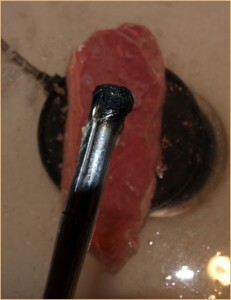 The quality of standard store-bought meat is usually very poor. A few years ago, I started doing some interesting testing. I would compare and contrast supermarket meats with various grass fed and naturally raised meat sources. The fat content from most normal meat sources is loaded with hormones and chemicals. 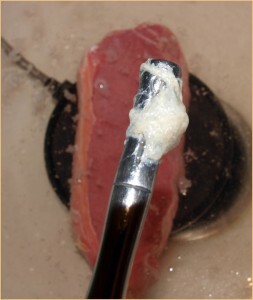 To test meats, I would ozonate them in water, and then collect the fatty froth that rose to the water surface. Then, I would burn the fat. The smell of standard supermarket meat is disgusting enough to twist and turn even the heartiest stomach. Not only can one smell the petrochemicals, but the fat doesn’t burn, it just reduces a bit. Normal store-bought meat, usually **at best** grain fed, not only has the wrong ratios of fats, but can be extremely toxic. This is bad news for the raw paleo “dietiers” that can’t afford or don’t have access to high quality, grass fed and grass finished meat. Since these meats are loaded with toxic material, one cannot eat these meats raw and compare it to the meat that the “cave man” had access to. 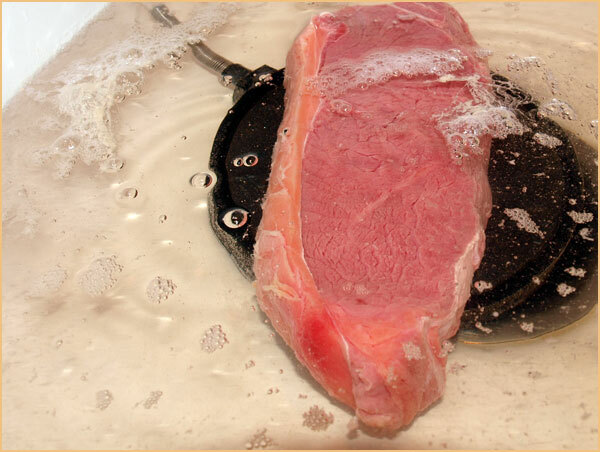 While cooking food can destroy enzymes, it also breaks down and destroys many of the non-metal contaminants in food. Not only that, but… If you alter the biochemical content of animals, you’ll also eventually be altering (and by altering, I mean mutating) the microorganisms that live with, in, and on the animal. The best meat source I was able to find was from Northern California. Perhaps this is due to the climate, or perhaps due to the high quality, clay-rich soil waters; perhaps both. The grass fed meat from Northern California was vastly superior to the grass fed meat from the Midwest sources I was able to test. In the above experiment, which is easily reproducible, toxic fumes are omitted from the burning sludge. Since the fat is only slightly reduced upon repeated burning, only a portion of the substance ejected from the steak is fat; the rest is quite obviously petrochemicals. But before you run out and grab your fresh veggies, standard non-organic vegetables are just as bad. It’s just more difficult to do a burn test, since the substances ejected from ozonating fruits and vegetables only forms a small film on top of the water. It takes laboratory testing, which has been done, to test the before and after results of ozonation! Vegetables and fruits often have high levels of pesticides present, even after rinsing. So, while high quality grass fed meat is a nearly perfectly balanced source of vital nutrients and fats, grain fed meat, from standard “grade A” sources, is nearly toxic enough to make the most adamant Weston Price neophyte a vegetarian overnight, once exposed to the truth of the chemical content. Wherever one decides to get one’s high quality fatty acid content, I believe that it is critically important to reduce– then eliminate– hydrogenated oils, and improve the “healthy fat” balance in one’s diet. Individuals who have very sluggish and failing digestion often do not tolerate essential fatty acid supplementation very well; taking steps to heal and improve digestion, as well as balance the body’s electrolytes, will make tolerating substances like primrose oil and coconut oil much easier. Clay Water (Bentonite) Wheatgrass Growth Experiment – …demonstrates how clay introduced to soil improves nutritional content of plant life… this affects the entire food chain. Explore dietary fats. Learn the best ratio between omega 6 and omega 3. Learn about the problem with toxic fat. what do you think of this ratio-ed oil product? The ratio of this oil reflects a recovery or compensation formula, and not a natural or maintenance ratio. Like many “fish oil” programs, one will likely get a lot of benefit from taking such a product; until one uses so much that the body becomes equally unbalanced from the overconsumption of Omega 3. So, if you use a product like this, use it for perhaps six months, and then switch to a product with a more natural ratio. PS: I did the same thing years ago; over-consumed Omega 3’s until it started to negatively impact the health, which is when I became educated about the different theories and ideologies behind lipid replacement therapy!